The Crusades were a brutal time. European leaders organized enormous military operations sanctioned by the Roman Pope and intended to slaughter heretics and thereby gain God's favor, political power, and enormous wealth. The Crusades started by trying to retake the Holy Land from the Moslem Arabs. Later Crusades found that other varieties of Christians were equally eligible targets, and sometimes far more convenient and less powerful militarily. The Fourth Crusade of 1202-1204 never made it past Constantinople, it was dedicated to increasing the political power and wealth of the Doge of Venice and the German King of Swabia. The advanced society of Byzantium was sacked and largely destroyed by forces which were, relatively speaking, barbarians from the northwest. The Albigensian Crusade of 1209-1229 was a military campaign started by Pope Innocent III to eliminate the Christian heresy of Catharism, which was accomplished the Cathars of southern France. The Northern Crusades of 1198-1290 had German forces fighting Russian Orthodox forces and slaughtering pagan Baltic people. The Children's Crusade of 1212 was an especially disastrous episode in which European Christians got the idea of sending children to fight the Muslims in the Holy Land. It was not a proud time for Europeans leaders who were portraying themselves as wonderful Christians. 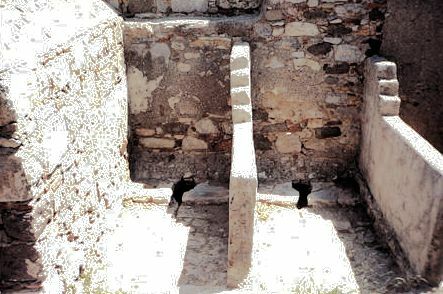 What today is the harbor in the Turkish town of Bodrum had been a fortification as far back as Doric times, around 1110 BC, and was the site of the palace of King Mausulos. His enormous tomb, completed in 353 BC, is the source of our word "Mausoleum". Back then the city was known as Halicarnassus. The Knights Hospitalier, also known as the Knights of Saint John of Jerusalem, were based on Rhodes and they wanted another stronghold on the mainland to defend against the Seljuk Turks. In 1404 AD the Knights Hospitalier began building the Castle of Saint Peter at Halicarnassus on the site of a small 11th century Seljuk castle. By then the port city was known as Bodrum, as it is today. Construction workers were promised in 1409 that a papal degree guaranteed them a reservation in Heaven. By 1437 they had completed the outer wall. Seige warfare had been common since ancient times. The limiting factor in a seige is drinking water. The Knights included fourteen cisterns for collecting rainwater in their castle. The growing Ottoman Empire attacked the castle, first in 1453 after the fall of Constantinople and again in 1480 under Sultan Mehmed II. Just two years later in 1482, Mehmed II had died and his son Bayezid II was now the Sultan. His other son Prince Cem Sultan raised a revolt against his brother. When the revolt failed, Prince Cem Sultan sought refuge in the crusaders' Bodrum castle. Various extensions and reconstructions continued for at least a century. In the early 1500s the Tomb of King Mausulos, one of the Seven Wonders of the Ancient World, was finally disassembled in the quest to fortify the castle. Its stones had been used in the initial construction, and by 1522 the last of them were used. The castle fell to Suleiman the Magnificent in 1522. The knights withdrew to Malta, and the Ottoman Empire took control of Bodrum and the Castle of Saint Peter. It was used as a military base by the Turks through the 1800s. It was a Turkish army base in 1824 during the Greek Revolt. In 1895 it was converted into a prison. It was an Italian garrison 1917-1921, but the Italians withdrew when Atatürk came to power. It stood empty for 40 years, becoming the Museum of Underwater Archaeology in 1962. The Smithsonian Institution reported that the toilets in a Crusader castle on Cyrpus contained eggs from the Crusaders' parasites. As the researchers reported in the International Journal of Paleopathology, they found eggs from Trichuris trichiura or the whipworm and Ascaris lumbricoides or the giant roundworm. These continue as two of the most common and widespread intestinal parasites in modern times. 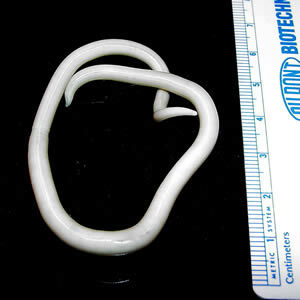 As they wrote, "Poor hygiene with dirty hands, contamination of the food and water supplies with faecal material, inadequate disposal of the faecal material, and consumption of unwashed vegetables fertilized with human faeces are some of the means through uhich roundworms and whipworms are spread." Other studies report that 15 to 20 percent of nobles and the clergy died from malnutrition and disease during the Crusades. The authors of the study poing out that the soldiers would have been even worse off. "It is quite likely that a heavy load of intestinal parasites in soldiers on crusade expeditions and in castles undergoing long sieges would have predisposed to death from malnutrition. This clearly has implications for our understanding of health and disease on mediaeval military expeditions such as the crusades."